Coffee prices have risen an astounding 90% in the last year and coffee roasters and shops are passing along the higher prices to customers. On top of that, virtually all coffee available for purchase in the grocery store is past the peak of freshness (7-14 days from roasting). Roasting your own coffee is a great alternative to paying too much for stale coffee. It is easy, can be done with a minimal investment ($0-$30), and costs half (or even less) of what buying roasted gourmet specialty coffee does. It is also a fascinating and enjoyable hobby that can broaden one’s horizons and palette. Ultimately, home roasting is the most economical way to drink the freshest, most flavor rich coffee. There are just a few things that you need to get and need to know in order to get started. 1. First you’ll need something to roast in. Hot air popcorn poppers make great coffee roasters as long as they have certain design features (a flat metal bottom and vents around the side that blow the coffee in a circular motion). You may have one already that will work ($0) or you can find a preferred model at your local thrift store ($3-5.00). If not, we have a selection of preferred model popcorn poppers for sale ($9-38.00) and there are also some popcorn poppers available new that work well for roasting ($20.00-30.00). 2. Once you have a roaster (popper), all you need is green coffee. Single origin specialty coffee is important for making the home roasting experience worthwhile. There is a lot to learn about green coffee and its origins (and how region, climate, altitude and processing methods affect the properties, and therefore flavors, of the coffee), however, it is not necessary to know this before roasting. Roasting and tasting coffee is the best way to learn about the different flavors and characteristics of coffee from various regions of the world. 1. First buy a small quantity (12 oz.) of 2 or 3 different coffees. 2. Then, roast each of them to a medium level roast (City+ to Full City). 3. If you prefer the acidity, aroma and body (the overall flavor experience) of one of the coffees, buy 4 pounds of it and experiment roasting to different levels. 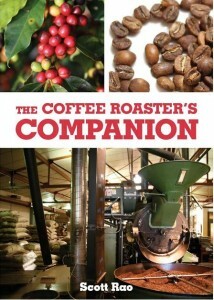 This will give you a better understanding of how the flavors of the coffee develop in the roast. 1. While home roasting is easy, you do need to have some basic knowledge before starting to roast. You should have a general grasp of the physical and chemical changes that are happening to the coffee as it is roasted, and should know at what point in the roasting process the coffee has reached the various roast levels that people prefer (from light to dark, City to Full City + and beyond). The roast can be understood as a series of moments or phases which begin slowly and then progress faster as the roast continues. First, the green coffee which is hard, dense and contains moisture must dry out. Secondly, once dry, the coffee turns yellow and then brown as the sugars in the coffee caramelize. Third we come to “first crack” when the cell structure of the coffee begins to break down and the coffee emits a loud cracking noise. When first crack comes to an end, the coffee has reached its lightest roast that is drinkable, a City Roast. From this point the roast progressively darkens (from City to City +, City ++, Full City and Full City + roast). The roast has reached a Full City level when the coffee is on the verge of second crack. When second crack begins, a quick, loud snapping sound comes from the coffee (it makes a different sound than first crack so listen carefully) and the amount of smoke coming from the roast dramatically increases (you will want to roast in a well ventilated area or outside for this reason). It is important to pay attention to the different smells that the coffee emits throughout the roast. A few seconds into second crack is about the darkest level that we recommend roasting to, and at this point the coffee has reached a Full City +. French and Italian roasts are darker than this, but the coffee is getting very dark very fast at this point. We recommend starting with lighter roasts and then experimenting with darker roasts. When the desired roast level is reached, it is important to stop the roast and cool the coffee quickly, as it will continue to roast even after being removed from the popper. A metal colander works great for this: quickly shake the coffee around in a circular motion until it cools. When it reaches room temperature it can stored in canning jars or other airtight containers. It will de-gas overnight (it lets off Co2 as a result of the roast) and so the lid should be loosely attached. The next morning the coffee will be ready to grind and brew. The coffee will have the richest flavor when it is freshly ground just before brewing and is brewed with one of the preferred methods. 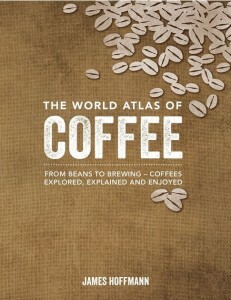 The richness and complexity of the coffee’s flavor will amaze you and change how you think about coffee. You can find all that you need to get and all that you need to know here at www.thepeoplesroast.com. We have roasters, green coffee, how-to videos and a blog that walks you through the process step by step. We also sell freshly roasted coffee (at good prices) for those less inclined to roast their own. Like us on facebook and follow us on twitter to stay informed about new posts and coffee offerings. One final tip for economical roasting: Once your friends and family experience freshly roasted coffee, they will want more. Roast for a few friends and charge them a fair price (still well below the high prices of roasted specialty coffee) and you will cover your own costs, and who knows, maybe even make a small profit! I love your final tip! It would be pretty funny, in a way, to turn an old popcorn popper into a commercial coffee roasting operation, however informal.